My choice for Gear of the Year is a pricey camera with niche appeal. The Leica M10 is not a camera that many people are likely to buy, when compared to other major DSLRs and mirrorless products released in 2017. Leica knows that, and trust me – Leica is fine with it. The M10 probably isn't a camera that will suit the majority of photographers, either – even those with the funds required to purchase one. The M10 is a curious beast: a highly evolved throwback, which combines some very old technology with a modern 24MP full-frame sensor to offer a unique user experience with some unique quirks. It's awkward, tricky to master, and lacks a lot of the bells and whistles common even in much cheaper competitors, but I love it all the same. I could have taken this picture with pretty well any camera. But I took it with the Leica M10, because that's what I had with me. (I didn't promise you an exciting story). There is a certain magic to Leica rangefinders, which is hard to properly explain. A lot of their appeal comes down to the quality of construction, which is obvious the moment you pick one up. While other brands have thrown their efforts behind high-tech mass-production (with admittedly impressive results), Leica has never aspired to market saturation and still makes its M-series cameras in much the same way as it always has done; relying heavily on manual processes, and the accumulated years of experience of its small workforce in Wetzlar, Germany (with a little help from electronics suppliers in Asia and a facility in Portugal). I've been pretty cynical about some of Leica's digital imaging products in the past (I still can't get excited about the TL-series, for instance, despite the considerable improvements that have been made to that system since its introduction) and I make no secret of it. In the days of hybrid autofocus and 4K video, the M10 is clearly an anachronism. The M10 and current 35mm F1.4 Asph., makes a powerful and unobtrusive combination. Many DSLRs and ILCs are technically more versatile, but few are as discreet while still offering a full-frame sensor. Ironically, the M10 has won a place in my heart (and my camera bag) precisely because it isn't trying too hard to be something that it isn't. In contrast to the slightly bloated Typ. 240, the stills-only M10 is stripped back to the essentials. 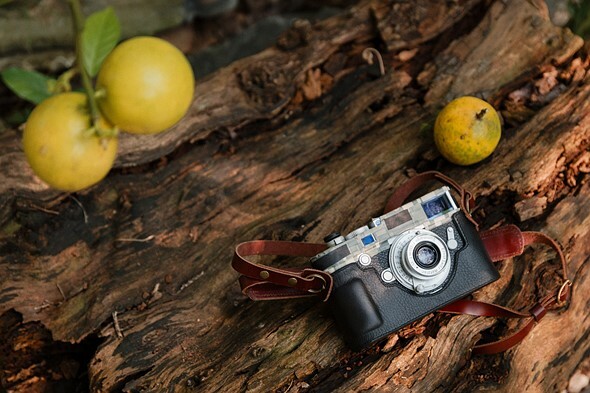 Presenting almost the same form-factor as the M6 TTL and M7, and an identical footprint to the original M3, the M10 is noticeably slimmer than previous digital M-series rangefinders while offering a simpler digital interface and tweaked image quality. In fact, with the M10 I can comfortably shoot at ISO 12,800 and higher without worrying about banding, or any particular image quality gremlins. The sensor isn't quite up there with the best 24MP sensors on the market, but it's more than good enough. It's been a long, strange year but as 2017 draws to a close, the M10 is probably the camera I've used most. While undoubtedly not as versatile as (say) a Nikon D850, the M10 does have the advantage of being considerably more convenient to travel with. I've done a lot of traveling this year, and the M10 has been with me almost everywhere I've gone. I love that I can fit a full-frame camera and lens outfit covering 28-90mm into a small Domke F6 shoulder bag without feeling like I'm going to pull my arm out of its socket. I still get a bit uncomfortable carrying what amounts to almost a year's rent around my neck, but – touch wood (or rather, hand-laquered wood soft shutter release) – nothing bad has happened yet. This started out as an attempt to quickly 'de-bling' a chrome M10 for my recent trip to the jungles of central Mexico. I might have got a bit carried away. Watch out for the 'Britton Special Edition Jungle M10' and remember – you saw it here first. Partly that's because I'm careful about who I point my camera at (and where I do it) but partly it's because a black M10 in a black half-case, accessorized with some carefully applied black electrical tape, doesn't actually draw much attention. The eye-catching chrome version looks absolutely beautiful by comparison, but it's the kind of beautiful that makes me nervous. I'm not a huge proponent of candid portraiture, but the subtle click of the M10's shutter means that even for casual snapshots of friends and family, the whole process of taking someone's picture is less confrontational than it might be with a larger and louder camera. The flip-side is that it's also harder to use. For all of the smug chin-stroking of whiskery old salts who cut their teeth on M3s and M2s back in the Good Old Days, the suggestion that M-series rangefinders are as functional – or as practical – as SLRs "just as long as you know what you're doing" is nonsense. I still shoot film occasionally and I love it, but compared to a 24MP full-frame sensor, even the finest-grained film is a pretty low-resolution medium. I'm much more prepared to let minor focus errors or even camera-shake slide when I'm flipping through scans from my film cameras than I am when examining digital files at 100% in Lightroom. One of my favorite lenses on the M10 is actually one of the oldest that I own: the tiny 1950s-vintage Nikkor 2.8cm F3.5, attached via an LTM-M adapter. At F4, the center is sharp enough for this kind of (slightly) off-center composition, with just enough out of focus blur fore and aft for some subject separation. 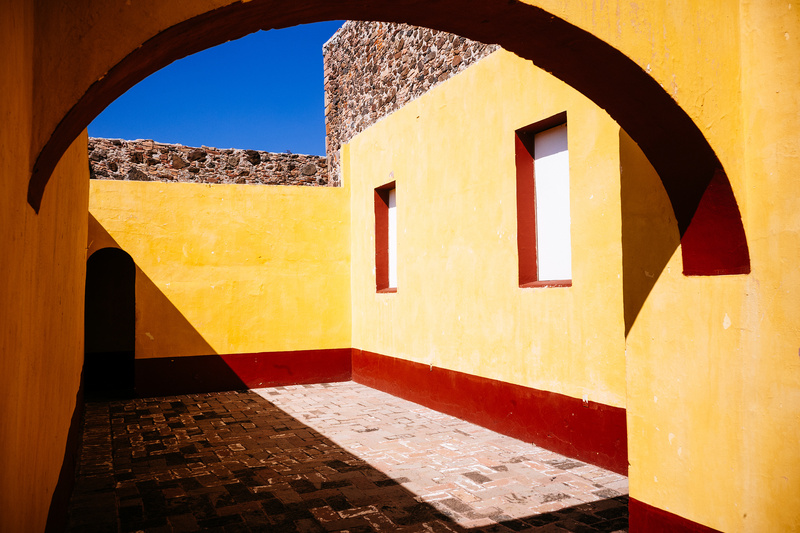 Newer Leica and 3rd party 28mm lenses are unequivocally sharper, but they're also much bigger. 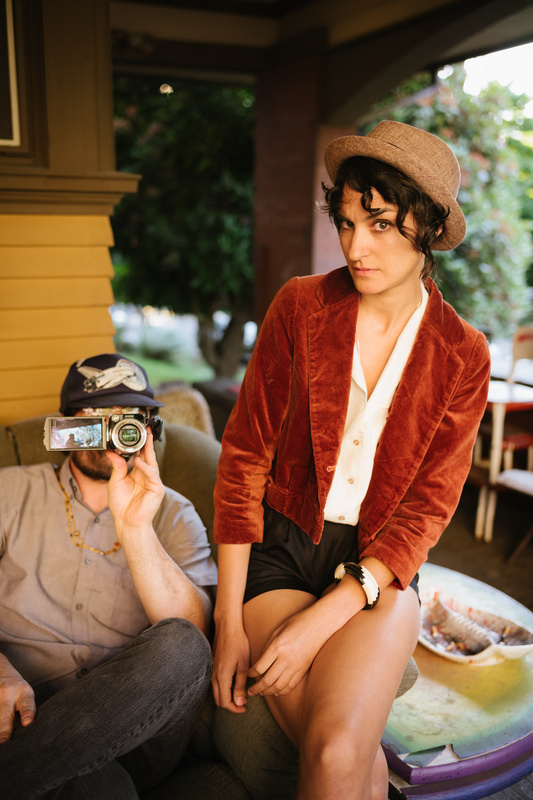 This portrait was taken using Live View to ensure off-center sharpness using this vintage lens. The M10 can turn out excellent results, but truly accurate focusing and composition can be extremely challenging – even for those with long experience of shooting with rangefinders. Yes, there's always Live View, but on this point I tend to agree with the whiskery old salts: you don't buy a rangefinder to use Live View (which doesn't mean that I never do, because like every good whiskery old salt, I am also a hypocrite). Perversely though, its inherent trickiness is one of the reasons I enjoy shooting with the M10 so much. Compared to an auto-everything DSLR or mirrorless camera, it's very challenging. When I capture an image that I really like, I appreciate it more because I feel like I've worked harder to get there. Please do not reproduce any of these images on a website or any newsletter / magazine without prior permission (see our copyright page). We make the originals available for private users to download to their own machines for personal examination or printing (in conjunction with this review), we do so in good faith, please don't abuse it. Right, there's "red" sea salt that's been dyed with clay, nothing akin to grey sea salt. That red sea salt in most instances would in reality be grey. No great surprise that Hawaiians use it for purifying rituals, that's done all over the world with salt, especially sea salt. It's okay you missed my amended post. "I know more about cooking than you ever will." No, you don't. Your grey sea salt ignorance confirms that. You very likely know more about running a restaurant than I do. There's no such thing as red sea salt, akin to grey sea salt, there's "red" sea salt dyed red by clay, in this case in the Hawaiian islands. Grey is a very very different matter, and has nothing to do with soil/clay in any normal manner. Oh, and your post supposing to know grey sea salt's capacity says you know little on the subject of food. I never claimed "entry-level" gear can't take very good images. You seem to think lenses have something to do with better, or worse, composition--they basically don't, though say a zoom allows you to get closer to some act at a distance. I said optically better lenses, like Leica's best, capture colour and light that other lenses don't. And you can see it readily. Meaning what just looks like good light/colour with entry level gear will look amazing with Leica's better lenses. There's no such thing as red sea salt, there's red salt for Tibet, and other areas of the Himalayas. "No one can look at a photo hanging on a wall and tell which camera produced it." Assuming it's has been printed well, one can see the better light and colour from Leica's, or Zeiss, best lenses. Canikon really can't compete. Fuji has improved, it has a couple of lenses that are starting to compete for optical quality with Leica's very good, not best. Olympus has some very good lenses. So no, not the same results. Now one does need the best Leica lenses to get that not the same. It’s fun to sift through these comments. I owned an M6 TTL, then went to Nikon (D80, D800E) and Fuji (X100, X-Pro 1), thinking the Leica expense is not worth it. You’re not really a photographer until you can shoot well fully manually. Leica is the best tool to perform the craft. It’s actually not at all difficult to focus, or to use. It’s just that everyone is spoiled with their fully auto SLRs and has never learned how to actually be a real photographer. For those who whine that they can’t afford a Leica: buy a used one; most are cheaper than that new Nikon body. I've never owned a Leica so I don't know if all their digital cameras produce images as red as the ones posted here, or if it's just the sensor on the M10 that does so. I do like small, unobtrusive cameras, however, and the Leica is certainly that. However, I think the Olympus OM-D EM-10 Mark III is Leica's equal in every parameter mentioned in the article (it looks and feels like an SLR from the 60s/70s, it uses very small but powerful lenses, etc), at less than 1/10th the price of the Leica. The Olympus uses Zuiko lenses, which are equal to --or better than-- their comparable Zeiss counterparts. The OM-D EM-10 feels like I'm carrying around my old OM-1 or OM-4 from back in the day. And I don't have to worry about adding black tape or anything else (mentioned in the article) to make my camera less obtrusive and less appealing to thieves. I have a Leica M240 which followed an M9 ,an M4P and a CL. I would not say rangefinder focusing is always easy (try focusing on a field of poppies) but the results are mostly good and sharp. Price of some lenses is a deterrent but I bought an excellent 9cm f4 Elmar of £130 recently that dates from the 1950s and is very sharp. I bought an Olympus OM10 Mk11 as a small, inexpensive travel outfit. It is well made and gives good results. The 9-18mm wide zoom feels flimsy but gives acceptable results and the 12-60mm Panasonic is well built and sharp. I have owned both Leica M film cameras, from 1972, and the M8 digital (2 of them actually) along with most of Leica's list of lenses. If I could justify the expense today I would still own one. But sadly I can't. To me there is nothing like shooting with a Leica M. I now use Fuji cameras, X-E2 and T2. I still love looking at all the images I shot with my Leica cameras. Firstly I find it funny that M10 aficionados are the first to criticise the M240 . The M240 is the same weight as the M10, only 3mm thicker, a longer battery life, video and better RF for wide angle. The M10 has of course a higher sensitivity sensor, an ISO wheel and wifi, however the M240 is a fantastic camera. 3. Manual focus is second to none. I prefer MF to AF, especially for close urban shooting. 4. Awesome lens collection from Leica, Zeiss and Voigtlander. I suspect of all those people whinging about Leica, there is a fair amount of jealousy among them. If somebody wants to spend $8k on a rangefinder camera, why not, if you can afford it and it gives you pleasure? That said, looking at the images I honestly do not think that they are any better than what you can do with a Fuji X100F, which is 7 times cheaper. But maybe you do see a difference when you blow images up to A2 size prints, I don't know. As for me, I suspect you are wrong. Even if I have $80K to spend on some photo gears, I would't buy Leica M10, just by your reason: the images aren't better. To say, if it could make a landscape frame with night moonlight stormy sea&coast at 1/2000s f16, without any visible noise and loss of details, I would have "a fair amount of jealousy"! I agree with you: if somebody wants to spend $8K on M10, why not. As saying speaks: "nice to live not forbid". But there are no any meaningful reasons for such public ultimate overstimation. 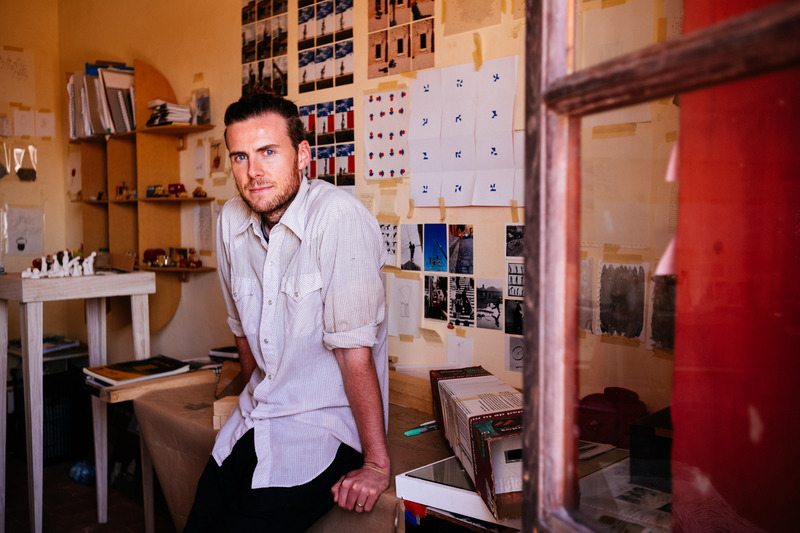 Sorry, the images, well the quality of the light/color, is better when shooting with very good Leica M lenses. No jealousy to it. Most people just find it absurd to spend that much money on a camera that you can get the same results with pretty much any camera. No one can look at a photo hanging on a wall and tell which camera produced it. @HowaboutRAW, sorry no. No one, including you, can tell what camera or lens was used from a photograph hanging on a wall. A camera is simply a light box. Cameras today are better than yesteryear and yesteryear’s are historical classics. If you think you can tell the difference then you should work for NASA developing cameras, lenses, and telescopes. Just like a master chef doesn’t need the most expensive knife or ingredients to make a delicious dish, you don’t need an expensive camera or lens to get a great shot, you need patients, great composition, great lighting, a little luck, and knowing how to use the tools like the back of your hand. All the awesomeness, brilliance, and quirkiness of your tools. Camera? No. 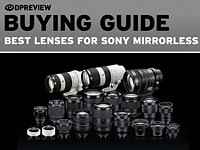 Lenses generally? No. Better Leica, or Zeiss lenses? Absolutely one can see it. "Just like a master chef doesn’t need the most expensive knife or ingredients to make a delicious dish, you don’t need an expensive camera or lens to get a great shot,"
No, but that "master" chef needs high quality ingredients, grey sea salt tastes better. What you're sort of getting at is that capacities of the better Leica lenses could possibly be matched at lower cost. It's been done actually, but not by the usual suspects. "you don’t need an expensive camera or lens to get a great shot, you need patients, great composition, great lighting, a little luck, and knowing how to use the tools like the back of your hand." And not one part of that has anything to do with my point. So of course you posted it as a filler distraction, or if you like strawman. Still being a stalker I see. Regards the lenses' results, it's pretty easy to see the use of much better optics. “Does Gear Really Matter? 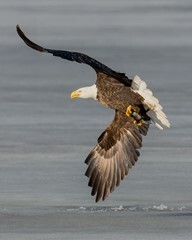 30 Mind-Blowing Images Taken With Entry-Level Gear”. I guess I’ll let the Hawaiians know there’s no red sea salt. Um, and I’ve worked years in restaurants and my father owned and was head chef in his FOUR restaurants so yeah, I know more about cooking than you ever will. Now post something else so I can refute all your fallacious claims some more. 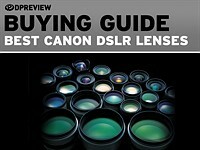 Would it the best gear for Barney, if it'd be the same body with the same lens exept not "Leica" but "Canon" at it and S2500 only instead of S7995? But it's surely so pleasantly to go with Leyca spinning around your finger! Why not, assuming the body and lens performance were exactly the same? There's people buying $10k bags and shoes and watches. And they don't run faster or get there more on time. So why not cameras? Don't like the price? Don't buy it. I don't. Those good M lenses do "run faster". That expensive watch analogy is old, and wrong. This spring I purchased a used smart Fortwo cabriolet. When smart first came to Canada I test drove one because it was cool but the brakes were terrible and the shifting quirky. Haters hated it, and fanatics loved it. The second generation is better, but being french it has it's quirks. It is unreliable, odd looking, and fragile. But drop the top on a nice sunny day and voila, instant smile on my face with the wind in my hair. Life is about what makes you happy, don't worry about what others think or do because one day it won't matter. I wrote your sentence "Life is about what makes you happy, don't worry about what others think or do because one day it won't matter" on a sticky note on my desktop. Thank you. I have read and take on board Omura's quotes etc, but this is not anything to do with the camera. There are thousands of people who continue to delude themselves that 1. There is a Leica "Look", and 2: that using a Leica somehow aids humanism in photography- your empathy and fellow feeling for your subjects. No. I have now been using DSLRs since 2008. Before I used a Sony R1(only 10MP, but the fastest camera prefocussed ever made). If you look at my work on any machine at all, there is NO difference, aside from file size and resolution, NONE. There are monochromes shot on Nikon Fs, Olympus OM2s, Leica M and Screw bodies, and colour on 1Ds Canon, Nikon D800 and Sony R1, and aside from their size and resolution limitations they are all indistinguishable. The degree of application and attention to what's in front of me has been greatly improved by being able to see it as the cameras lens does because I can see the result An RF VF sees small all in focus-not what you get at all. Argh, so close yet so far away. I would suspect there are folks who think that a piece of gear will make them a better shooter, that is a given. I've been a photographer since 1969 when I purchased my first Canon FTb and have been using something that makes a photograph ever since. I will use whatever I have at hand whether it is a disposable, point and shoot, DSLR, view camera, medium format or Leica. It honestly makes no difference to me though as a photographer I will choose the tool best suited for the job, and perhaps that is what separates those you refer to as 'deluded' vs those who make photographs. What is 'fastest camera prefocussed ever made'?? If you are talking about hyperfocal distance then any camera using this technique will be the 'fastest camera ever made' since it is set and forget. If autofocus, the Nikon 1 is fastest. The point is, you like using what you have correct? Then why not let others like what they use and that is and always was my point. Sorry Kevin, but I didn't check out the Leicaphilia pages you referenced until now. Not exactly objective, what?? More objectionable and blatant plugging Leica (with, wow, even Brad Pitt onboard ). You are forgetting very vital somethings as in, cough, polite pause, people used to use them, because THERE WAS NOTHING ELSE!!! (except the Contax and then Nikon and Canon copies!!) There were no pukka SLRS at all, let alone CSCs. I made a point about the reactive speed of a prefocussed Sony DSC R1 because it certainly gets the decisive moment!! The last time I read an M digital review , the measured shutter lag was a disgraceful 1/15th of a second, rather than the R1's 125th. With a digital M, you'd miss every time!! I wonder, Munro Harrap, if you follow your philosophy of cameras with everything else in your life? You're not a 'doorstep preacher' by any chance, are you? "There are thousands of people who continue to delude themselves that 1. There is a Leica "Look","
And yet, it's pretty darn easy to see provided a very good Leica M lens. Now, have other manufactures made real strides? Yes. Distracted, sorry, just remembering the day we took a dead Emporer Penguin from the London Zoo, carefully disguised, wrapped head to foot in newspaper and bound with a strap to the seat by the driver, all the way from Regents Park to Lincoln's Inn Fields to the Royal College of Surgeons for dissection. It was a very hot day, and the cabbie did not like the smell at all: but you can imagine the reaction when the vibration shook the newspaper off the Penguin's head, and there it was staring dead ahead!! We did get some funny looks, but eh, do you know, I did not take a single picture of it all!! Well, no King Pen Grin, I am a happily married house-wife from Cheam! The difference between 1/15th and 1/125th of a second is interesting on the surface but the reality is if you aren't seeing what's coming you probably aren't really a photographer. Just someone hitting a button and taking a picture. However the real 'trick' to photography is to look, to see and to feel and that is what separates those that take a picture from those that make a photograph. The difference between a delay in the shutter firing ( shutter lag) of a 125th second (0.007 m/sec) on a Sony R1, and a 15th second on a leica M, is that between a hit and a miss unfortunately. Unfortunately many cameras react very slowly to being asked to take a picture. "Seeing what's coming" also known as anticipation is a philosophical position in thought: it is NOT the best method of capturing a photograph that even you Omura do not know exists yet. There is, however one such in my gallery made with a 3MP digicam, to let you see that SOMETIMES with a lot of luck, what you claim can be done (but this was after a number of attempts as I could only hear, but not see vehicles approaching from the left, blocked by the huge shrub blocking the light from my bedroom window. The better way-of having a fast enough machine to get exactly what I am seeing can be illustrated by the shot of the kids playing in front of a castle-made with a D800. They are now both in My Gallery, OK? Here's some advice. You don't like it, don't buy one. You like shooting with whatever you have?....great. Stop hating on others, because they happen to like the way the Leica renders images. I have lots of cameras and I always go back to my M240. I go back to it, because I enjoy shooting it the most out of all my cameras. So the one I enjoy shooting with is the one that I'll use the most and I'm getting the most out of it. I'm not delusional about the limitations of this camera, but name me another truly manual focus digital rangefinder on the market. I'll be waiting. Also the battery life from Sony and Fujis are terrible. I don't shoot DSLRs because I don't like them. I don't like how big they are and I don't enjoy the shooting experience. harrap nope. The lag between your brain and your finger is likely greater especially for someone who is distracted or hasn't honed their skills as a photographer. Also this demonstrates a lack of understanding of the fundamentals of photography. I suspect next you will say that all photographs taken with a shutter speed of less then 1/60 of a second are no good. I had suspected this lack of understanding with the profound lack of understanding of terminology used. Never did get a qualification as to what the comment, 'fastest camera prefocussed ever made' was about. Or is this your way of saying Impressionism isn't art because it doesn't depict the world in a realistic manner. Can't wait to see how you butcher 'the decisive moment' oh wait you have, perhaps if you do not have the skill set to anticipate when to push the shutter button you should continue to shoot in video mode and then pick the frame that finally worked. That would be the law of averages of photography in action. Pt2. The fixed focal length plays havoc with photography. When you see something about to occur from your position, or near it, in most cases a 24-85mm zoom foe reportage allows you to frame it as you choose from the optimum position, whereas a fixed prime makes you move to or away from the situation "to get it all in". Now however fast your relexes are, you have just lost control. Whilst you reposition yourself, you lose 1. the perspective relating the figures to the background and to each other, 2, the light that enhanced, in fact created the possibility that it might be worth taking a picture or two, and 3. Ha, Ha an infinite number of "decisive moments" that you lose faffing around desperately getting in a position to work because you have not got a zoom lens on your camera. Or , of course, ha, ha, you miserably having to change the lens for something that will get it all in or see far enough away. ( Idid this for a decade, so I know JUST how it feels!! But the worst aspect of the current M10 saga is that it is still only a 24 megapixel sensor. It should be 36MP by now, as noise control has improved way beyond a D800's 2012 performance, and I anyway only have problems outdoors in dreadful light-very common in the UK where they make it already an hour darker than it need be to photograph people in the daytime- also a cause of SAD, understandably. Yesterday at 16.30hrs outside in Wales it was an 1/8th at f2.2 underexposing plants by a stop at 800 iso. Hows the EV on that? In the "English Light" I have EVERY reason to go for the superb fast Leica lenses, on a good noise-free sensor. Every reason, since manual focussing in the gloaming is OK, if nobody moves! But the thing is that at low shutter speeds there is no advantage having a £4000 Summilux on your M10- not at an 1/8th/second!! not at anything involving people and movement in front of you up to about a 250th without image stabilization. "But the worst aspect of the current M10 saga is that it is still only a 24 megapixel sensor. It should be 36MP by now,"
And then later you want better higher ISO performance. Can't shoot the D800 at ISO 12,800 realistically. Yes, can shoot the D810 and D850 at ISO 12,800, but you'll need a good Zeiss lens to come close to the good Leica M lenses. And you can also shoot the M10 at ISO 12,800--DNG of course. Now how many mega pixels does the best high ISO stills camera available, the in Nov 2017, the D5, have? How many mega pixels does the excellent for higher ISOs Sony A9 have, or the Nikon Df? Or the Canon 1DX II? Noise is a strange thing, it does not work like that. The virtue of a 36MP sensor is not just that its capable of higher resolution with an expensive lens and totally static subject, but that at lower magnifications it has less visually apparent noise. Personally I have not EVER used anything above 800 iso on purpose, on anything, not film either, because the noise creeps up very quickly beyond 400 iso, so we used to insist on f1.4 primes, if at all possible, or if darker, flash. I know there are some F2 135 and 200mm lenses, but I dont shoot sports or wildlife in poor light you see, such that the figures you mention are weird to me, very!! I would wait till DXO Mark rates the sensor and check on its high iso limits, as, for example, you could compare the Canon 1D MkIV to the D800- the difference is well, huge. I personally doubt this 24MP M10 sensor is even designed to work properly at high ISO. Here they say no, its not too good in bad light,no. "but that at lower magnifications it has less visually apparent noise." That is a myth. Downsampling does NOT reduce noise as an overall fraction of the data. "Personally I have not EVER used anything above 800 iso on purpose, on anything, not film either, because the noise creeps up very quickly beyond 400 iso, so we used to insist on f1.4 primes." Digital sensors are not film. DXO sensor scores are a joke.
" I personally doubt this 24MP M10 sensor is even designed to work properly at high ISO. Here they say no, its not too good in bad light,no." All this says is you've not tried the M10, or SL. It reads like you want to shoot at very low ISOs with good lenses, there's the Fuji GFX-50S for that, or Sigmas. Nor is the M10 a wildlife camera. Golly, so many words Munro Harrap......anyway re your experience of never going above ISO 800, each to his/her own, I currently use a Nikon Df & D610 (only 16mp & 24mp, but you know what that's enough for me), I regularly capture images from ISO 6400 to ISO 12800 and I am generally very pleased (+ bit of tweaking) with the results. Yes indeed, as far as choice goes , never better, except for film buffs who are, well, in need of basic materials and services in many parts of the world now. I gave up zooming with my feet AS A NECESSITY, I prefer the infinite choice of things a zoom gives you, but can understand those who imagine there is some precious cachet in using only one prime. But only because I used to be one of these people. Right now, I know someone, a published photographer who is still using film, only shoots in monochrome digitally as well, AND refuses to touch his digital files at all, letting either his partner or the agency do the necessary, and who regards me as a heretic, that bad!! I have no such prejudices, merely trying to use my very real experience as a reportage photographer to explain to those not yet stuck in a rut gear-wise, that an AF zoom on a DSLR is best if you go for quality of composition and timing and variety of shot, and why. My dearest harrup, I don't hate you and in fact I don't 'hate' anyone since that is not in my nature. However you do appear to have some serious issues not the least of which is calling Leica users delusional or does this come from a darker place? Perhaps some but that was a pretty broad generalization and one I think you need to apologize for. In fact that on the surface felt like the opening salvo from someone trolling. A photographer was at a dinner party, the host comes up and says. 'You take lovely pictures what camera do you use?' The photographer being a bit put off mulls over a response and later on in the evening comes up to the host and says, 'that was a lovely dinner, what stove did you use'. And on many fronts that is why I think a lot of what you post is either misguided, misinformed or possibly a troll. Going back to the comments about shutter lag, is that relevant to someone who photographs landscapes or portraits? Btw, you might want to re-read what Harvey said. Kevin, I posted full resolution images for you specifically in My Gallery, but have now removed them since you disliked what they revealed about timing so much!! As to what you have just written, where did I call Leica M users delusional?? Nowhere, and I have no idea what the lag on the M10 is, because nobody has yet thoroughly reviewed it, and usually only Imaging Resource bother with what is essential information for everyone. The A7R is as slow, dreadful. Its sucessors are all much faster because Sony actually listened to us and did something about it. Leica do not listen, because they are manufacturing luxury goods for the wealthy. Photography for them is no longer a concern related to photographers, see Pt 2. Landscapes change in a fraction of a second, faster than the eye, scanning as well as it can, can see, and of course portraits depend entirely on whether one has caught their humanity and spirit at the time. Photography is all about TIME. Pt.2. Add the capital cost of replacing the 50mm f1.4 and 35mm f1.4 lenses I had to work with, and needed and the cost of 2 M10 bodies together with a 24mm f1.4. You are now in 2017, a wanna-be photojournalist, convinced by Kevin Omura and others on this site, that you must buy Leica as most Magnum photographers used them in the good old days . WHERE do you get the money to buy them? How do you afford even to insure them professionally? You are not a wealthy amateur whose spare cash goes on his hobby in retirement; or a waged advertising or press photographer whose company foot the bill, you are in direct competition with all these other guys, and they maintain you MUST have something that will ruin you financially for years to come, but these same aficionados are not paying for your gear, no, you are. So Leica are producing at a price their original customer- someone like you- cannot possibly pay. Persuade me and then buy the machines and lenses for me, Kevin! Give it a rest for gawd's sake.....what is it to you whether someone can or cannot afford a Leica.....how do you know he can't, you've just presumed he can't......a most bizarre attitude! ....and for your comments on photography.....may I suggest you stop digging the hole and perhaps you should see if anyone will be kind enough to give you a ladder to get out of it! Are you Kevin? Was I addressing you? What is your real name? "I was in Madurai, India in 2011 near a temple when I saw an overweight American with 2 Leica M(x)’s over his shoulders taking a picture with a third, of a beggar. No reflection on Leica but that moment stuck with me as an all time human low. (I gave a donation FYI)." Munro Harrap......no I'm not Kevin, I'm not quite an old crusty but I did get my first proper camera, a Yashica Rangerfinder, back in 1973 when I was 14. I'm just glad I'm here and you're there......after your grizzly confession concerning my uncle.....the Emperor! The Emporer is now at peace, bless him! As to the journey itself, I was asked to go as a favour to the client of a Holborn camera shop where I then worked. The Zoo. Oh my, harrap I never looked at your gallery because I did not see the relevance. If the 'point' you are really attempting to make is that specifications only play a small roll in the creation of a photograph then you have IMHO succeeded (likely by accident). A photographer will always do their best work when they enjoy even love the piece of equipment they are using and that is the intangible that many seem to want to ignore when we get into a cost issue. Harvey was David Allen Harvey who you obviously didn't read because had you you would have noticed he shot the body of work he was talking about with a Leica and iPhone 4 but his point was the same as mine. I do however find it puzzling that being an 'artist' (bio, fake) you completely miss the point that inspiration is paramount to making a great piece of work. If you are not inspired then how can you possibly reach your full potential. For some it's a great guitar, others a fine brush or others a sublime camera. Well, if you cannot be bothered to look at the two pictures I posted, what to say? Had you done so, you might not consider the bio fake!! It is not fake at all, none of it. Not at all. There is possibly Salgado, some might prefer Martin Parr, some Koudelka, but other than these, no. I however, record as best I can, the banal, the ordinary, the everyday, because I find us extraordinary as we are, free from war famine and riot. As I am an amateur now, I am in a position in which I have the same situation and position as most guys on Dpreview, with the solid background of press work from the time I used Leicas whenever possible, before the advent of autofocus. The 3 photographers named dont use Leicas now, and nor do most people in Magnum: they have moved to something that does more effectively what Leicas used to do. Happily the advent of the EVF is a help (as the older VFs are inaccurate, very,) as the cameras own viewfinder is useless for most Leica lenses- inaccurate or too small. I put a few jpegs for you into My Gallery again Kevin. BOTHER to look. Now, can you tell they are NOT made with a Leica? Thats the big question here. They are made with other machines, but can you tell? "Well, if you cannot be bothered to look at the two pictures I posted, what to say"
In terms of what you posted to your gallery, the big question you fail to ask is, 'do I care?' And to that I would answer nope, because again you continue to completely fail to miss my point though at this point I highly suspect it is because you are so self centred in your 'wisdom' that it totally has obscured your ability to see. Therefore I see no point in looking at something that is irrelevant as are the posts you continue to make. And sadly once you stop being able to see you have also stopped being a photographer which is sad indeed. I wish you well, and I hope that some day you will become happy with yourself again. When the articles and pictures you want me to read and look at are your own work, I'll be interested Kevin, but as that article was something I had read ages ago, and discarded , I had no need to fall for your distraction techniques. 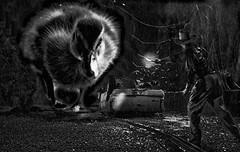 Let it be said here now, that if you read every reply ANYONE has made contradicting my posts and being generally nasty/superior, you will get in your sights a pretty fair cross-section of time-wasters like yourself, who for reasons unfathomable cross swords with their betters ( you see this in wildlife documentaries where the younger stronger cocksure animals try to drive off the silverback gorilla, or the old moose or somesuch- very common , sometimes successful, but not proof of anything Omura. Think this sums it up nicely, "Maybe it’s just me, but photographic aesthetics seem to have changed markedly since the inception of digital photography, to my mind for the worse. Optical characteristics have increasingly replaced emotional resonance as the criterion of a “good” photograph, the result of a repressive stranglehold of sharpness and resolution on the photographic imagination which is itself driven by the particular characteristics of digital capture. Flusser would say that the camera has made use of the photographer, its intentions having triumphed over the potential intentions of the human, the result of the inevitable feedback loop between tool and user. I would add that, as far as creative possibilities are concerned, this is a step back rather than a step forward." Dear me, you really have a bee in your bonnet don't you......some people, like me, don't care about video......I've owned many digital cameras from M43 to APSC and now FF and I've never, ever used the video facility in any of them......and my current DSLR doesn't even have that feature and I'm glad it doesn't. Neither do I use any IS or OIS lenses or bodies, preferring to use nice compact discreet primes ranging from 16mm to 85mm. I don't do sports or birding so don't want or need anything longer and I find 95% of my photos are taken with my 20mm and 35mm lenses. Ummm, I agree with everything you say, but if YOU want to actually be a great photographer, you will drink in my words of wisdom and realize that behind each serious remark I make (and I have owned several M Leica bodies and lenses), the reasons I no longer choose to do so, are the reasons to own an SL Leica or a Sony A7 type gizmo instead, or a pukka DSLR. 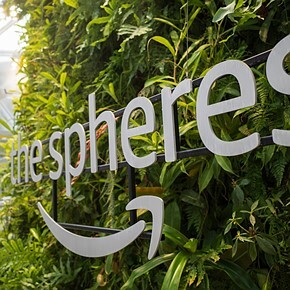 Finally, you get your stuff from Amazon? 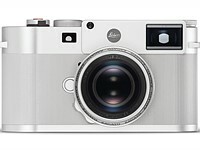 Why, when you can get it from the Leica Mayfair store in London for £500 less! I wonder which will give the best personal service? Yes I saw the lens, did a test shot with the SL - it's a heavy combo but nevertheless would be my dream camera especially if you look through this beautiful view finder - you can actually let your eye wander around - the first time I've experience that. just wonderful. But, yes it's so expensive sniff. 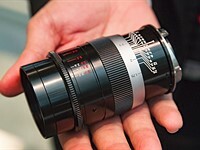 ALL Leica lenses can go on an SL body. ALL the M lenses, ALL the S lenses, ALL the R lenses as well as the new autofocus lenses made for it. Instead of buying an M10 you can by an SL and put all your film M lenses on it via a possibly free Adaptor.I bet there's adaptors for Nikkors and Hasselblad and Mamiya lenses as weLL! Leica are well ahead of all your M blowhards, you see. They knew of your existence and continue to cater to your whims, with your urges to be today the kind of photographer I was 40 years ago! Do you think I find it EASY to resist the urge to go out and buy one? It is HARD for me too, but years ago when my sight was good and film was everything, and I had a brace of Leica Ms with fast lenses, I learned their limitations. Even then, an OM1 or OM2 Olympus was SO much better at taking pictures, and adopted by oodles of former M devotees with Nikons, and devotees whose names you all know, because they just work better, and for split-image rangefinder fans you just pop in the appropriate screen. Why be M instead of Bond?? "Its not the price, but the utility. 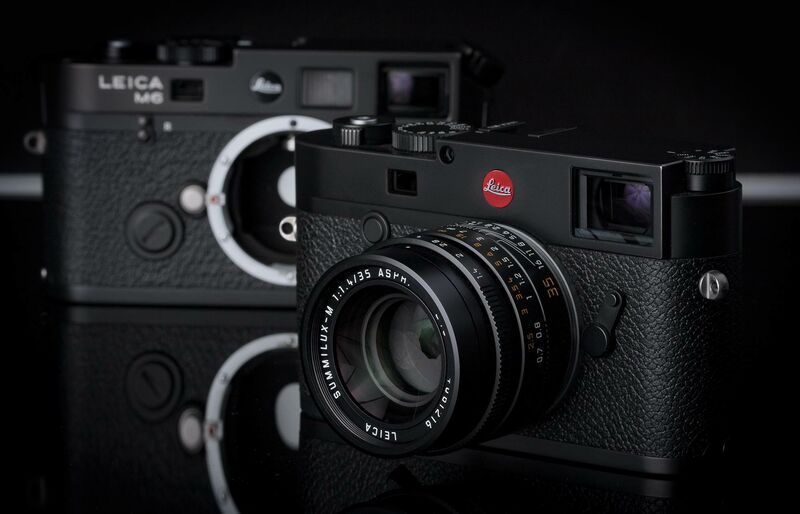 Leica know its days are numbered..."
And yet Leica continues to sell, and release, cameras and lenses and make money. "only 24 MP", tried the vaunted Nikon D750, the astounding Nikon D500? Fuji XT2? Nothing unsuitable about using good M lenses on this M or say the SL. I have both M10 and Sony A7R-II. For studio work I prefer Sony. For EVERYTHING else – Leica, because it's much more pleasure to use. They are not competitors, they are different. Both have their advantages and flaws, and it would be stupid to not use each where it shines. Leica M10 to me was easier and faster to nail focus versus sony A7rII when using the Nocti or 75 lux. Its personal opinion but these two lenses marry way better with their native M mount than with an adapter. I suppose there are people who want a swiss army knife camera. I kind of have that in my phone which I find pretty decent. However if I want to shoot video I will shoot with a camera designed to shoot video. I don't even use the video features on my 5D II often because I do not find the feel and operation of the camera conducive to video except on a tripod. In terms of words of wisdom the only one's that make sense to me are, 'shoot with what makes you happy'. If shooting with a disposable camera or Dories does it then perfect, if it's a Deardorff and sheet film excellent. If it's a Sony (yuck) then great however every photographer will have their own methodology and requirements and the camera that works great for you may not be the camera that does the trick for someone else. I've gone the route of adaptors and the one thing I find, most feel like a compromise design wise whether it is total loss of electronic control, or no longer syncing with the distance scale on the lens. No true still photographer cares about video and no true film maker shoots with a still camera. Get a life. Great piece, Barney, and entirely predictable whingeing from the souls that haunt these pages. "Overpriced", "Under-spec", whatever, #yawn. I think you expressed perfectly well why you like the M10 more than any other camera at the moment, and I have to agree with you. One person asked, given a series of photos, could you tell which ones were taken by a Leica, and which not? Of course not, but that misses the point. Look at it this way: the time is currently 14:48 - now did I read that time from the face of a Rolex, or a Casio? Answer: it doesn't matter to you, but it might to me! Rolex? Vulgar. Unless it's a sixties steel watch of course, without the fancy adornments. Well actually my favourite wrist watch is a lesser known Swiss brand, but my whole point was - you don't need to be able to distinguish a time stamp from a decent brand versus a budget outfit, in order to enjoy a rather better piece of kit. And the same goes for Leica vs the World and photography. Thanks for the write up and the photos Barney - really enjoyed both. The snowy chairs and the OOF woman in the foreground shots are my favourites. But it's not as simple as just the technical aspects of an image and in photography it never has been. I think this is the point that many missed entirely. There are many aspects to what makes a great or timeless image, many of which are not just about what the colour balance was or the dynamic range of the sensor. Sure those things are helpful but it's also about being able to access a situation and in many cases it's difficult to photograph when your camera is obtrusive. The Leica doesn't look intimidating and I suspect many folks not in tune to photography just figure it's another point and shoot which is a huge advantage when you are a street photographer. The other intangible is feel, the smoothness of how everything works together. Todays AF lenses have mainly plastic in them because brass is just too heavy a material for AF motors to push efficiently but for manual focus I want that smooth feel and not the loose feel of my Canons. 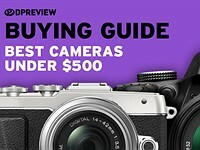 The reaction on Leica from people on dpreview.com is predictable: price, price price. I would not buy it, I hate it, how can somebody even consider such a camera. People buy Tesla cars or Masseratis for what ever reasons. Clearly thouse buyer descide not primarily from the spects to go from A to B. Any used Toyota for below 10.000€ will do and in the US you even do not have a change to drive 250km on a freeway. 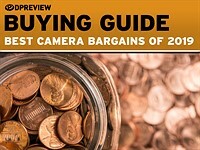 We read "My choice for Gear of the Year is a pricey camera with niche appeal." as a first sentence. If people would read that, most of the comments would not be typed in, and we would really could here some interesting thoughts. Sadly most to the comments are just a waste since people do not get the point and only cultivate their prejudice. Kindly read my thread below. 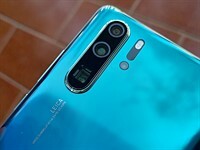 This article clearly mentioned that this was NOT a terrific camera, that it was actually underperforming in some aspects, yet the author liked it for that reason. Inaccurate autofocus, its tricky operation in certain areas, and its "good enough" sensor all for the amazing price of $7995 listed ($6900 in the real-world, I heard) is what set people off. For the Maserati, at least you get performance for your buck. Could the same be said for a Leica today? For the same money, people could get a very good body + lenses that affords better AF and "better" sensor. Everyone is free to do whatever he wants with his money, but an overpriced product is still just that. The thing is AF, dynamic range etc are not the only parameters that make a great photograph. And that is the intangible and perhaps a point that was not very clearly made in the article. In design school we learned form and function, or as my instructor pointed out the gestalt which is how all the elements work together to make the whole. Photography isn't just about the sensors, film or FPS but it's about a lot of other things such as how the camera feels in your hands. When I worked retail the first thing I always did was put a camera in a customers hands and ask them how it felt, did the controls fall in place easily, the lens feel good, eyepiece easy to see. If they didn't like something I would move on to another possible choice because as great as something looks on paper or in specs if it doesn't feel right you will never get the full potential from it. And that is the intangible that the folks hung up on price have missed entirely. It is the first time ever I hear a healthy leica M having "inaccurate" focus, while on the subject, since when leica m offers AF in M line??? Hello Dash, inaccurate autofocus? He was writing about a camera with manual focus and a superb rangefinder adapted to wide and medium focal length lenses. My typo, guys. "Accurate focusing is hard," not autofocus. As for the intangibles, I don't know if it's worth THAT much money. "Photography isn't just about the sensors, film or FPS," but when you take away all those things, what's left? Especially at this price. Does it offer insane detail? Huge DR? Great noise control in low light? There's gotta be something, no? I don't agree the "intangibles" are enough to cover the "basics" of a good camera. Well I wouldn't say accurate focusing is hard, it's different but lining up two images superimposed on each other is pretty straight forward even in low light. For those used to working with rangefinders focus can be fast and accurate, downside is you are not looking through the lens but then I only shoot with wide angle lenses so I always build in a bit of space around the edges to ensure I got everything in the frame I want. Actually Leica glass is better than much of the glass I have shot with, perhaps with the exception of Hasselblad and the Schneider lens on my Linhoff but the 35 summicron I typically shoot with is superior to the L glass on my Canon's. At what point is DR and noise irrelevant? I guess where I'm going with this is at what point will we stop seeing these differences because the monitor or EVF cannot reproduce this range or material you print on? Also at what point does the image look too over processed by the technology? "... Especially at this price. Does it offer insane detail? Huge DR? Great noise control in low light?..." Non of what you listed matters to a purist "photographer", a technician might care about nuts and bolts. Leica M and many other similar have never been about technology, it just captures the moment in the simplest form. You want more go get without the fuss. Can someone point me to an ABX test where photographers could consistently pick the Leica photos from those taken with other cameras. All the good photos are taken with a leica, what's your point? Mention the price and it's like waving a red cape. I wonder if any of the charging horde have looked closely at that Amazon price of $7,995? The first look review, by Barney, was published early this year when the camera released. The photo samples shot in NYC are from that time. True it is not a full review, but it's very real regarding the shooting experience. 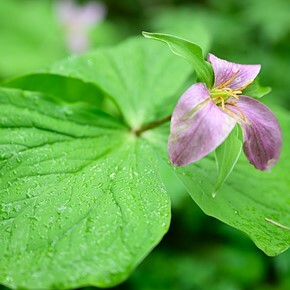 Irrespective of the fantastic and expensive camera and lenses, most of these photos are like better snapshots. 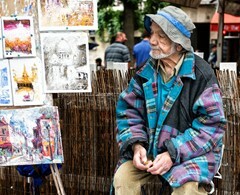 And then with this extortionately expensive gear, why take photographs of homeless people (in Japan?) unless it is for a reportage? I find this cynical, voyeuristic and disgraceful. Ignorant, opinionated post. That's you. I own a Sigma DP2 Merrill that is rather slow to use as well and the fun does not last that long to boot, even with two batteries. In daylight conditions -- which is the most likely time you would use a Leica too I imagine -- pure physics would suggest the Foveon sensor is going to beat any Bayer sensor camera up to 30MP. Anyone who would suggest otherwise would be simply ignorant regardless of their opinions. A pat on the back, Luke! Merrill is good for anything that is studio. Its very poor with the lens it comes with to do realistic photography. Beyond ISo200 the camera is very poor in lights that is fairly enough. But what the merrill produces is way more detailed and beautiful than any other camera i have used. Practically its impossible to take as a travel camera, professional shoots(except if its inside a studio with lots of lights) or even as a semi professional camera. On the other hand, we just finished a whole wedding with M10, Nocti and 75 Lux with no flash and natural light and images speak of itself. Absolutely brilliant camera to use and gives you the experience that is worth the money IMHO. Can i afford it, i cant. I wont buy the m10 at 6000. Yes, I don't shoot at anything other than ISO 200, although technically you could tripod mount it for night shots. The lens lens is as sharp and distortion free as Sigma could make a prime lens to be. Yes, the 50mm equivalent is somewhat limiting but I did an awesome landscape shot by photostiching three high rez images together. And there is a tremendous amount of fine detail to be had when cropping an image -- 60MP double tiff files I usually convert to 26MP images. The same old cliched reasons for owning a Leica... and I like Leicas. Aren't these just rebadged Panasonics? Also...where are you finding rent of $667 a month in Seattle? Can you show me the Panasonic that looks like the M10? Are you really this obtuse? 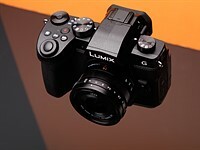 No, the M is not a rebadged Panasonic, nor is the SL, TL2, Q, or S.
You're thinking of the excellent d-Lux 9, which is a Panasonic LX100. Now, the SL likely uses the Panasonic AF technology. the LX100 looked pretty decent, dials on top etc. Anyway, defending Leica will always be tough, because they are ridiculously priced and the very vast majority of photographers wouldn't be able to afford one. Personally, I wouldn't buy one even if I could, I would get an X1D because they almost justified in price. For a small camera, X100F and the 2 lens converters as you'd not need anything else ever probably. The LX100 is a full framed ILC camera? "For a small camera, X100F and the 2 lens converters as you'd not need anything else ever probably." Not if you want the better light/colour of optically excellent lenses. -truly accurate focusing and composition can be extremely challenging – even for those with long experience of shooting with rangefinders. -The sensor isn't quite up there with the best 24MP sensors on the market, but it's more than good enough. The only true positive I got from the article was "it's small and discreet," which could easily be handled by a Fuji T-X20 or similar, they're just not full frame. All the above for $7995? Is there a Leica-look in these samples? Always wondered what that is. And there are other things..... The first applies to all metal bodies- your fingers freeze and stick to them without gloves in winter. The pair I saw yesterday did not even bother to use those very useful soft-release buttons that are SO good in cold weather. (yes, I met 2 Leica M10 owners, for real. I did not fall into a swoon- it was too dark for them to work.... so I left and carried on with my D800). Theres still not enough eye-relief, and there is still no built-in dioptre adjustment . The add-on correction lenses are £100 plus each, but are fixed. So different users (partners etc) are stuck, and as your sight changes with age (N.B the Leitz 50 year recycling logo on the base!) you'll need to repurchase and repurchase. Leitz should be capable of providing suitable in-built correction that is adjustable. The 50 year logo is, in addition an unproveable claim, suggesting that the electronics and sensor will survive so long without the sensor corrosion (due to RoHS) that plagued recent models Leitz broke their replacement promises about, according to the many very unhappy users in forums here and elsewhere. I await a full review on Imaging Resource because they test shutter lag (1/15th on the last they measured-disgusting slow-like the first A7R). But Leitz have made no claims for shutter duration, and these are not the traditional tried and tested focal plane shutters that go to a 1000th sec. They are vertical metal-blind shutters that go to a 4000th. Sounds like you have this all figured out and know what to do next, right? And what you do next is not buy the camera, right? Meanwhile I will continue to use mine to great effect in the work I do with it and nothing you say or do will change that. By the way, I never ever got decently focused images out of my D800 at EV2 and lower but do all the time with the M10. Ummm...do you even know what "EV2" is? ...do you know how to autofocus with a D800? Seriously, if you're going to automatically assume everyone else is an idiot and doesn't even know EV, do you honestly expect a real reply? I have NO idea what EV2 is, and care less, but my Nikon can always focus fine in any light, UNLESS I use a low ISO and the sort of slow zoom lenses wildlife and sports photographers tend to go for. If you use an F2 or f1.4 prime on a Nikon its AS good and AS sharp as a Leitz equivalent. The 35mm f1.8G Nikkor (full-frame version) is easily as sharp and contrasty as the 35mm Summicron. In fact it is a LOT sharper. It is as sharp as the Asph. 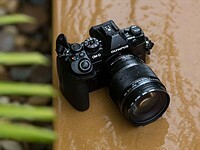 Summilux 35mm, but costs £400 not £4000, and is on a body whose lag and reaction times are as good as an M10, I believe. Of course nowhere near as good as a Sony R1 (0.007 sec. ), but hey, that was some camera! 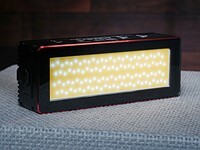 EV2 is extremely low light, even for AF that is on paper rated to EV0, -1, etc. I find it much more reliable and easy to use RF in this kind of light which is often moonlight at this point. It’s not an issue of knowing how to focus, it is an issue of AF needing a far more contrasty object to get a read on than what one can achieve in light levels that low with a bright RF patch. This is simply not even up for debate man, in my 30+ career I have been on beta test teams of camera makers on and off for years. Even my D850 can struggle in that low of light when using my M10’s RF patch allows me to nail focus on some pretty unorthodox things. Edited to add to the post above. You can not seriously know what you are taking about if you don’t even know that EV stands for Exposure Value. What a complete waste of time and energy. EV is an absolute, but that absolute is modified by aperture shutter speed and aperture, such that in practice it is different for each camera/ lens/ sensor combination. So, thats why I dont know what it is. When A Nikon DSLR cannot autofocus it focusses manually with a nice spot that lights up, and when you are an old git with cataracts this works better than two superimposable rectangles dependant on enough available light to be visible let alone useable on a machine that has no inbuilt eyesight dioptre correction. This does not apply to those readers whose eyesight is excellent and who do not need the £100+ screw in dioptre correction lenses Leitz should pack for free in the box , because for many they are an absolute necessity. Please do not send me any more of your extremely bad-tempered private messages, ta. What's an "aperture shutter speed"? Maybe some special feature only found on Nikon? Oh btw, the company is called "Leica Camera AG". Not "Leitz". Leica split from Ernst Leitz GmBH many years ago. Obviously there is a comma missing between aperture and shutter speed, and I made the mistake of repeating aperture unecessarily. However Leitz is OK, everyone knows what you mean when you say it here. Are you an English teacher, or a Lawyer, or something, or just another nitpicking time-water? Dear me what is a time-water, I hear you say? A time-water is an animal related to, and not unlike those very small indestructible creatures they take for testing into space! A time-water is in fact a really quite amazing animal. It has persisted since almost day one of the Creation itself, in the Abyss of the Sea!! Barney, you have a privilege to get your hands on just about any cameras on the market so you know from your personal experiences, what camera feels right for you. You're exposed to many modern cameras with high tech so a camera like Leica M10 probably gives you a fresh air.
" but truly accurate focusing and composition can be extremely challenging – even for those with long experience of shooting with rangefinders". This IS the area where I can't live with. I don't care much about the quality of construction, but if I can't do focusing and composition easily with this camera, it's just not for me. So keeper rate isn't good? But if it works for you regardless of the camera's price,then it's your camera to have. But for most of us, balance between the price and the camera's functions and quality matters most and this is are area where a camera like Leica M 10 disappears from the radar. But if you love something or someone, you don't care what other people say. I'm happy for you. This is the part I don’t agree with in the claims he makes. I find my keeper rate when shooting with my 35mm 1.4 on my M10 is very high because of the consistency of rangefinder focusing. Perhaps he needs more experience with it, like shooting months of documentary type work or the like in order to master the focus and re-compose dance that one will do over time. That is the thing here, I use the same focus techniques on my 62 year old M3 as I do my two month old M10 and get very consistent results. Any tool needs to be mastered and the thousands of brilliant images made over the decades with Leica cameras shows it can be done and is done. Yes, I have a great time with rangfinder focussing too, whenever I use my tiny exact Olympus 35ED or the bigger faster 35SP, just as I did with my Leica M2 and M3 with their super f1.4 and f1.2 lenses. With static subjects like musicians and conductors or folk at conferences they are discreet quiet and ideal. I even photographed W.H.Auden years ago by merely the light illuminating the desktop for the book he was reading from with a borrowed 90mm f2, but you cannot use an RF machine with subjects that are close to you and moving towards you or away from you. In poor light you cannot focus accurately on moving subjects with a rangefinder camera. Not at any price. Nobody ever has, nobody ever shall until noise is finally and irrevocably conquered, enabling mankind to use hyperfocal settings as our parents, grandparents, great-grandparents, and great, great grandparents (just) could do in good daylight. And yet hundreds of photographers used instinct based trap focusing techniques to great success to increase the keeper rate over more years than you have likely been alive. A Leica M rangefinder is not the camera I would use to shoot a ski race with but when photographing numerous World Cup ski races, it was always at my side and very much used. Why do you suppose that is???? I am 69, I used M2, M3 and M4P machines for over a decade with Summilux lenses, and with fast Canon lenses too. But I then had good eyesight, did not wear glasses etc. Then no cameras had eyesight correction (possibly the OM4 was the first?) VF depends on your eyesight being good enough. Mine is lousy now without glasses. I tried the tiny M10 VF yesterday. Its OK, but you miss the points made here . 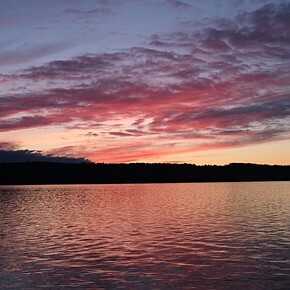 In low light with a fast lens there is no depth of field. People approaching you cannot be focussed upon at all accurately as they can, and are with the same speed lens on a DSLR. Thus you are stuck with people who are stationary enough . But NO action photography at all is sucessful in poor light using an RF Leica. Use an AF Leica instead!! Whats an instinct-based trap focussing technique?? WELL?? You had a Leica with you for ski sports because at those greater distances in your blinding Colorado daylight you did not have to work as we do here in the UK at a 60th at F2 and below. Far enough away even in bad light a rangefinder focussed near to infinity is OK. But not between 1 and 4 metres in bad light. Why do you think that is? The way I use Leica at an event like this is everything from finish area reaction to the lowest of light in the ski wax rooms and after parties. What instinct based trap focusing is about is knowing instinctually just how much to pull the focus ring if someone or something moves. It is in no way a replacement for AF, especially that of a camera like my Nikon D850 but it does make any manual focus situation more versatile than non-moving objects. So I have to ask....in your opening statement, what was to be gleaned from telling everyone what they already know and that is the best hammer for the job of pounding nails is not a screwdriver but a hammer. It just seems like yet another criticism of an otherwise stellar system that has decades of amazing images to back it up. Sure, as long as there's sufficient light we can work, but that's years of practice and good eyesight. I MUCH prefer framing with a rangefinder instead of tunnel vision, much, no contest. The thing is there are loads of people who given its a nice piece of kit will be tempted, and then after purchase, when its too late and they realise that a D850 or equivalent is of far greater and more comprehensive application, and easier to use and to LOOK with , they will have lost thousands of pounds being swayed by arguments made here. I refuse to be the cause of quite unecessary unhappiness and financial hardship, sorry. A new 35mm f1.4 Summilux in the UK is a little less than £4000. A new M10 is around £5850 (much more on Amazon). That's £10K . There's no guarantee on its life or shutter actuations. Its new and Leitz have NOT kept their promise to replace all their faulty sensors in recent models.The 50 year claim IF Leitz adhere to RoHS lead-free etc limitations is a fiction, and their circuits have failed on many recent machines sold at a similar price in the past few years-lots of them. More than Nikon or Canon, who sell many many more machines. Well reading most of the "For and Against" comments, I feel that after all those "Leica Appriciation" comments, Leica as a maker should issue atleast £100 complimetary share certificates for the loyals,me included. Because you know the non 1% ters here are going to be asking: Gosh how much does that cost? (Listed on amazon for $8000 but no idea if that is the MSRP). Some of these photos - especially the 2nd - have a wonderful magic and calm to it, turning something normal into something very special. Good to see that Barney can do this with a Leica. "A lot of Leica rangefinders' appeal comes down to the quality of construction." There is no such appeal but myth. Leica cameras are not better constructed than high-end DSLM cameras, say from Fujifilm or Olympus. Full stop. On the contrary, they are occasionally riddled with issues and design flaws. Leica has demonstrably poor know-how in the digital age, yes! "The whole process of taking someone's picture is less confrontational than it might be with a larger and louder camera." Is Barnes living in past decades or something? The vast majority of DSLM cameras today are smaller and lighter, thus less intrusive, than Leica bricks, and - because they have AF - take photos much faster thus the subject feels for much less time being under the spotlight. I own all sorts of cameras. Nothing is like the feeling of Leica lens release, the aperture wheel, or shutter speed dial. Nothing. The focus ring is so nice I find myself just twisting it for no reason. The only other lens that feels as nice to focus is the Zeiss Loxia's. Then there is the film wind on the film bodies - it's so beautiful. Leica is the ultimate fidget spinner. I definitely agree that the cameras are far less confrontational than a dSLR. No contest. @RStyga: No question that Leica has had problems with the digital M cameras though that era seems to be behind it. But as for size, lets compare "full frame" cameras. The M10 weighs the same as the Sony a9 and a7rIII, and if we include lenses, then.... The Sony 50mm f1.4 is gigantic while the Summilux is tiny in comparison. And no matter how light and small a camera is, without a lens it is, well, a cosmetic addition to your desk. I've used rangefinder cameras and know using them quickly and accurately is possible with practice. And as an owner of an Sony a6500, I've learned to be careful with auto focus when light levels drop. AF can be good but it is not perfect. And as for the cost, well, who are we all to dictate how someone should spend their money. I love how you feel you can speak so categorically on behalf of everyone even though there are many, including me, who believe differently. @mandophoto, you wrote "The Sony 50mm f1.4 is gigantic while the Summilux is tiny in comparison." 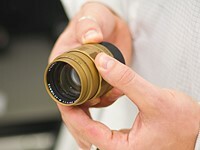 Sony's is a smart lense, stabilised, while Leica's is a dumb one, just glass in a metal tube. @proxy: Ha! Anthropomorphism is always amusing. The Sony is big mostly because of the amount of glass it has inside. No, let's not compare with FF, let's compare with cameras. Leica is a brick, heavy without ergonomics, low/bug-tech, expensive, overrated, poorly designed & executed. I'm sure you feel "something" when you rotate the lens focus ring, as much as other photographers feel "something" when they do similar tactile operations to lenses on their DSLM (Fujifilm, for instance). Camera reliability, size, ergonomics, reported issues, etc etc are facts not a matter of belief or feel; these fluffy airy things are Leica followers "attributes". To me Leica’s biggest draw, other than the compact lenses, is the simplicity of the menus. No other manufacturer even tries to get close, unable to resist stuffing their menus choc full of features just because they can. I know many people want that versatility and it’s great that the market caters to them, but it’s annoying that Leica is the only one that caters to those who believe “less is more”. Sure, it's as simple as Nikon d3000, minus VR and couple other things. Less camera (inside) for more money. Never have seen a digital camera menu which was logical and instinctive. With all that processing power to hand could they not get a choice between a "clean choice of options" and a "geeks menu". More customers would be happy. Lenses matter. And you can't match better Leica M lenses for optical quality. Then name another rangefinder, digital, available? The mechanical watch thing is tiresome, this Leica has a sensor and processing computer in it. Now, if this essay were about the Leica MP then you could sort of have a point. Oh, look another double post because the webware hasn't been fixed, and DPR denies there's a problem, blaming uses, how like Microsoft for 2 decades. It's good that the DPR parent company doesn't run its stuff ordering website so "well". We all all love to own shiny precision mechanics accessories, independently of their performance. Jewellery and the Swiss mechanical movement watches come to mind. To each their own. "And you can't match better Leica M lenses for optical quality." Zeiss doesn't still camera lenses that compete with the Noctilux or the 50mm APO f/2.0. Now, one does have to use those M lenses on a Leica body, and Zeiss makes amazing lenses for Canikon SLRs. I appreciate b brittons musings about how leica helps one to slow down, to the advantage of the image, how the work involved and the commitment makes results favorable, more satisfying. This is a great topic, I would have read it readily , at 4 time the length.Having said that, I don't think the camera of the year designation is cogent here. now leica could do the world a favor & produce a bare bones full frame 24mp body, solidly built, and completely made in Canada or portugal or Mississippi & sell it for about-something fair. now if sony can sell a full frame digital autofocus bells and whistles 24mp body for 998.00.
" POST OF THE YEAR "
But Barney didn't say "camera of the year". Did you like many others not read the headline? It says "gear of the year", that will also include future entries regarding the Nikon D850, Sony A9, Panasonic GH5, likely the Nikon D7500, etc. One of the big expenses of Leica digital Ms, and the SL, is the curved microlens array in the sensor plane, that won't be cheap no matter where it's made. "Gear of the Year. Barney's Choice (Pt. 1)" That is, a personal appreciation of a camera that he likes. Well said but a bit pointless. People made choices based on multiple standards. To some Leica has value beyond a camera. Let's just honor such needs. $6000 USD really is not that big of a deal in life. It won't change anyone's life significantly. Maybe one probably just have to bring lunch to work for some time, or simply drink less alcohol. today, a few piece of cloth could ask for several hundred bucks, I don't understand why people bash Leica for its price. At least Leica uses good material. Plastic lens (such as molded glass for asph element) are absent in Leica glass but universal in Japanese lens. Pay less for less. not 11,671 you would pay after tax for an M10 and 50 summacron 1.4lens at b&H..
"One of the big expenses of Leica digital Ms, and the SL, is the curved microlens array in the sensor plane, that won't be cheap no matter where it's made." Your Ricoh GXR A12 module didn't just cost you $500, and you know this. It retailed for $1200, when new. As you do acknowledge, it was only APSC. 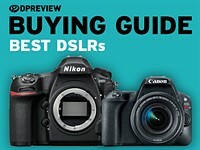 Now however note the price difference between a Nikon full framed DSLR, say the D750, and an APSC Nikon D5600. Leica could revive the R series, and use APSC sensors, of course that would be another line to support and the R lenses aren't Leica's best, while still being MF only. So if it were 2 years old, it had been discontinued. Sorry, I looked up the price of the M module recently, it was $1200 when it released. 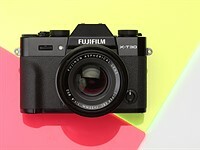 Indeed, it is a very nice system, wish Ricoh would reintroduce it with an updated M module. "The Ricoh GXR plus Leica M module costs £250 for the GXR body and £549 for the Lecia M mount and sensor unit, making it £800 for a Leica M Mount digital camera. A real Leica M mount digital camera, such as the Leica M9 or M9-P, would cost you £4,689 / £5115 respectively and due to a full frame sensor have no crop factor. " The problem with that ephotozine link is that it's from a year after the announcement of the system. No, the whole kit was not just $1,200 when first released. But that DPReview link is the Amazon price in 2017. And I don't dispute that price for gear somewhere in an Amazon warehouse--new in the box. Okay, I guess I could be wrong. But, I still thought it listed for many more dollars when new. @cosinaphile, ".. back in the day leica prices were more sane". I, too, pondered this a little while back this year and decided to compare the price of an M3 at launch (1954) here in the UK, to the present day price. The first problem was which inflation factor should I use, currency inflation or wages inflation, i.e. purchasing power, and this is the one I felt more useful. Interestingly, on this basis, the present day Leicas are cheaper as a proportion of wages than the M3 was in 1954. Of course, this result won't apply to the US where wages have been higher and goods less expensive than here. National economies over the period are an important factor. if i had to choose id say id go with currency, simply because the costs of things across nations dates can be approximated. somewhat like driving around in a Ferrari. But there are problems. Consider that the true quality of the M10 image will never be seen by anyone, except, well, you. Same as if you owned a chalk sketch by Michelangelo... any attempt at photographic reproduction just can't come close to the texture of the original. Images from the M10, served up lo-res on the web and then viewed on equally lo-res devices... there are disconnects here. But for the pure joy of ownership, great! And hooray for Leica. jon404, I see no relevance between camera and car. You are not the first who made this kind of comparisons. Precise tools make work enjoyable. It is simple as it is. I did not play with Leica so far, but I have a very good collection of old film cameras, and I tell you that $2000 Rolleiflex of 1950 - 54 (MX) delivers for each penny that you spend. You have to hold those beauty's, hear the sound of the shutter, see the precision of the focusing. This creates a bounds between the camera and photographer. Price? It is very tricky question and everybody should make his own decision. Talking about pictures, I prefer out of camera pictures, because, converted images are too mainstream and they are missing the mood of the taken picture. This is especially pronounced in the evening/night shuts. The colors are great and image's appeal (if it's not converted) is very strong. 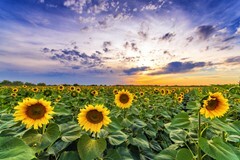 Thank you very much for the blog. "Consider that the true quality of the M10 image will never be seen by anyone, except, well, you." What are you talking about? Do you not understand the concept of downloading raws? And in fact you can download many of these Barney Britton examples as raw files. to Alex M ... yes, the feeling of holding one of those old all-metal cameras... your Rolleiflex, the Leicas, old Nikons... they were all so incredibly well made. It is sad to see these old cameras now selling for next to nothing. But I guess I am typical... I couldn't go back to film. And there it us. And so the value of the M10 is ... that it lets you still enjoy that superlative machining of yesteryear, with digital internals. Would love to have one, but am not sure how much I would use it given the convenience and pocketability of my little Ricoh GR Ii, or the superb ergonomics of my Pentax K-5 IIs. And I'm not going to spend $10,000 to resolve this issue! It took a trip to Vietnam in 2012 for me to move away from Leica. I had an M3, M7, M 240 and M Monochrome. I also had some of their best lenses. Even with a 50 and 35 Lux @ F1.4, the M was lucky if it could shoot above ISO 1600 without getting noisy. On the street, Leica's require hyper-focal focusing in order to get a shot, but paying $4500 for a 28mm Cron, that is at it's best wide-open, seemed a waste of money if shot @ F8. You have a slow, manual focus experience that is good for... things that are standing still in good light. The 90 Cron is still one of my favorite rendering lenses, but it's a crippled system IMHO. I moved to Sony with an A7s and was blown away by its low light ability. As for Leica holding it's value second hand? That's simply a myth, unless you are selling mint vintage pieces. I got incredible results with my M240 at ISO 3200 for clients year after year, so it seems you might have lacked the skill set to realize the best outcomes. The M10 hits that same quality for me at ISO 10,000, a *sick* setup for low light with my fave, the 35mm 1.4 FLE. Sorry but you likely lacked the ability to exploit what the camera could actually do in the right hands. Noisy at ISO 16OO: How do you define noise, are you only shooting jpeg? No, the M240 does NOT compete with the Nikon D4 for high ISO low light, but I'm sure you knew that before your trip. I see, because I say your toy is crap, it's my inability to use it? The Sony A7S shoots lossy raws. It's not an especially strong higher ISO body, albeit it's better than the Leica M10, though of course the Sony has many fewer mega pixels than the Leica M10. The Sony A7S II, which doesn't shoot lossy only raws, is bested for higher ISO shooting by the Nikon Df, Nikon D850, the D5, the Canon 5DIV, Canon 1DX, the Sony A9, and yes the Leica SL (with the later firmware). Or did you mean Sony A7s? The first version of the A7 is hugely problematic--only partly about lossy raws. And the A7II really isn't a better higher ISO body than the Leica M10. I've owned A7s, A7s II, D4 and D5 and the same time and tested them against each other with the fastest glass in low light. The D5 is the best but the A7s II is a close second. The A9 I own now is as good as the D5. You are correct to imply that the A7SII a better high ISO low light camera than the Nikon D4. However the Nikon D4 is nowhere on my list. The problem for the Sony A7SII is large blotches of cyan and magenta in deep shadows when shooting above ISO 25,800. My experience is that the Sony A9 starts to show that cyan and magenta blotching above ISO 50K, whereas the Nikon D5 doesn't show that problem until used above ISO 80K. "I love that I can fit a full-frame camera and lens outfit covering 28-90mm into a small Domke F6 shoulder bag without feeling like I'm going to pull my arm out of its socket." Yes, the Leica lenses are a little faster, but the Canon Zoom has IS. Bulk is of course another issue, but then so is versatility. Oh yes, and the Canon with zoom fits in a Think Tank holster. I love my Leica and its admittedly faster and heavier lenses than those listed above, but let's not pretend that the weight does not add up when one carries a small range of even the smallest of them. I couldn't help but think of the Leica X Vario w/ highly regarded 28-70 zoom @ 680g total. APSC sized sensor however. Haha, you do this every year despite the abuse! Everyone is determined to miss the words 'Barney's Choice' and then waffle a load a carp stating that it's NOT the best camera of the year!! The irony of of all these posts criticising Barney's choice because it's different from your choice. Haha, stroll on! A photographically mediocre camera with tremendous snob value. An incredibly biased and uninformed opinion. The snobs I find are usually the ones who dismiss others’ photography or equipment choice due to their own relative merits of what they think ‘real’ photography should be. Those same people, I find, are generally terrible photographers. Can you site one example of someone being a snob that owns a Leica? I own two, along with Canon/Fujifilm/Oly/Ricoh/Panasonic gear. I've never seen anyone in Leica land brand brash other brands, let alone how many bash someone with a Leica or the brand. Just who are the snobs, then? CGARRAD, if you want to see snobs bash brands other than Leica please do spend some time on the Leica User Forum. You find page after page after page of people who claim to have absolved themselves of heavier and inferior gear in favor of Leica, it’s actually quite bad over there. I for one find equal value in all the different gear I own that Leica is merely a small part of. And the time that value proposition shifts is when I am looking for the best tool for a specific task. To bash my D850 when I am at the very moment using my M10 would be completly idiotic...and yet, this is what folks at LUF do. DFAP- Pretty much the entire mirrorless community does it for all those brands. That said, I don't think that is being a snob, I think its just that people have discovered the strengths of going smaller and the brand in general. Snobbery is the ultimate in a superior, vain, and disdainful attitude. @CGARRAD is correct. The Leica User Forum is pretty snob starting with their moderators. And the image galleries are full of mediocre pictures. I do not belong to a cult and i am not religious. I guess that is the reason I fail to get excited over Leica cameras! So the prerequisite is that you must be in a cult or religious to purchase or admire Leica cameras? I get sad seeing comments as ignorant as this being posted. I really do. Not at all, you just need to be yourself and make your own decision about camera that you like and pictures that you are going to make. What is interesting, the other people who have their own opinion never ask you what camera to buy. You do not have to be in a cult or religious, but it helps to believe fanatically in something that does not really exist. I am sorry if that makes you sad. No, but you belong to a group of people on the web who can’t resist ridiculing something they don’t understand. And that is what is truly sad, being the kind of person who just can’t resist heckling instead of shining light into the world. I am sorry but I do not see how getting excited over an expensive camera that can do so little, is equivalent to "shining light into the world". Take a look at my gear list, note how little Leica gear I have and how much other gear I have, especially the Nikon line that you also seem to own some of. What I am getting at is that these are tools and for a certain genre of work that I do that pays very well, I especially enjoy using a Leica M cameras and lenses over the other gear. And one of the best parts about that is the sheer lack of post production I have to endure from those images over ones from almost all the other equipment. When on a job in Chicago last February, I checked out the M10 in person and was very much taken by the refinements, It literally is the digital M many of us had always wished Leica would make. So you don’t have to get excited about it, but I think it is disrespectful and troll like provocation to just blurt out criticisms when a lot of people do love using these brilliantly designed and executed cameras and lenses and often do stellar work with them to boot. I am sorry if that makes you sad." Leica has launched a limited edition M10 with a contoured handgrip designed by luxury coachbuilder/design house Zagato. And, to celebrate the opening of a new part of the company's Wetzlar factory, a pair of Leica-made watches are due this autumn. As 2017 draws to a close, we're looking back at major product launches and events of the last 12 months. Today, we're beginning at the beginning - with January. Take a look at some of that month's highlights. We're counting down our top 10 most popular sample galleries of 2017, and the #4 ranking goes to the Leica M10. Leica's newest lens is one of its oldest. The Leica Thambar-M 90mm F2.2 is a (slightly) modernized recreation of a classic 1930s design, famed for its unique soft focus look. We just got our hands on one. Leica is one of the oldest names in photography, and has long been one of the most prestigious. Recently, we had the opportunity to visit Wetzlar, to see for ourselves how Leica's lenses are put together.